Dr. Silvija Seres is an academic techie with a past in corporate leadership, a present in entrepreneurial investment, and a future in large-scale digital transformation processes in public and private sector. Silvija Seres is a mathematician and a technology investor. 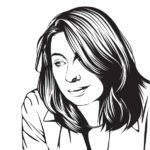 She has worked on algorithm research in Oxford, development for the search engine Alta Vista in Palo Alto, strategic leadership in Fast Search and Transfer in Oslo and Boston, and later in Microsoft. She now works as a board member in several major companies such as the Oslo Stock Exchange and DNV-GL, and as an active investor in several startup companies. For niende år på rad deler Oda-Nettverk ut Oda-Prisen på sin årlige Inspirasjonsdag for kvinner i IT-bransjen. Vinnerne av Oda-Prisen Person og Oda-Prisen Organisasjon ble offentliggjort under Inspirasjonsdagen fredag i Oslo Konserthus.